Link Group has appointed a new chief executive for its fund administration business, to commence from 3 June. Dee McGrath has taken the role, joining from IBM where she was managing partner, global business services. She will oversee the group’s administration of Australian superannuation funds. “Ms McGrath is a high-calibre executive and her extensive experience in both relationship management and delivering strategic projects will be invaluable to our clients and their members and employers,” John McMurtrie, managing director of Link Group said. 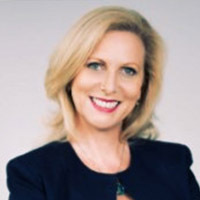 Prior to IBM, Ms McGrath held senior roles at Visa, HP and NAB. The appointment comes with a number of other recent changes at the company, including the launch of a new operations, technology and innovation division, which will be led by group executive Paul Gardiner. The new department has also gained Nigel McCammon as chief operations officer, Asia-Pacific. He will also join the group in June and was most recently head of Mercer Administration Services.